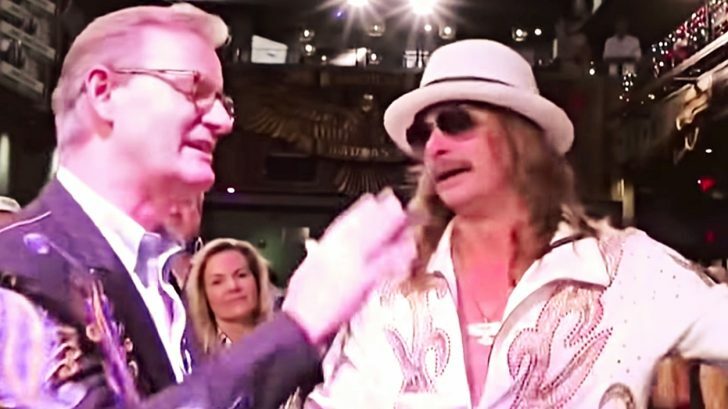 Then Doocy told Rock that he cannot say the “b” word on live television and rock corrected himself to say “lady” but the show had already been aired across the nation. While celebrating her 20 years on The View, Behar was asked how she felt about the situation. Her ladies rallied behind her and said, “If you come for one of us, you come for all of us.” As they joked back and forth, Behar invited Rock on their show but the ladies felt he needed something a little stronger than beer to hash it out. The ladies did bring it to the attention that the reporters handled the situation well by addressing it in the moment rather than backtracking and apologizing later. Kid Rock responded in a few ways. One was by reposting a video he made with well-known Democrat, Sean Penn about not letting politics divide the nation and personal relationships. Bryan Lewis, Tootsies Orchid Lounge’s attorney took to Channel 5 News to explain that if Rock was pulled from the parade, the owner planned to sue the city of Nashville over the decision. As the majority of funding came from Tootsies Orchid Lounge, Lewis felt that the city did not have the right to make calls at this level. This all happened just days before Rock was supposed to host Nashville’s Christmas parade as the Grand Marshal. As more people watched the tapes, a few political and community leaders decided they would not support the parade if Rock was still a major player in it. Just got some really exciting news!!!!! Despite the surrounding controversy, people from all around came to watch the parade. You can watch the parade turnout in the video below and let us know what you think in the comments.